A migrant boat sank yesterday just off shore of Pantelleria, an Italian island approximately 150 km northwest of Lampedusa. The boat was carrying approximately 250 people and ran around on rocks near the entrance to the port. The boat had been intercepted earlier in the night by an Italian naval vessel and was being escorted to Pantelleria. It is not clear why the migrant boat was unable to enter the harbour safely. Two young women died. On 23 March Frontex announced a 5 month extension of its Joint Operation Hermes. Frontex also announced a westward expansion of the operational area to include Sardinia, roughly 300 km northwest of Lampedusa. According to Frontex Director Laitinen, “100 percent [of] the request the Italian authorities [have] made to Frontex” has been satisfied. 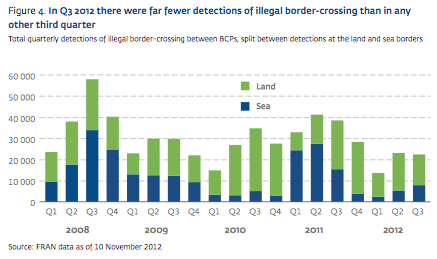 “Warsaw, 23 March 2011 — Due to the notable increase in migratory pressure on Italy and the island of Lampedusa in particular, Frontex has widened the operational area of Joint Operation Hermes and extended its duration for five more months, with the aim of strengthening Europe’s border control response capability in the Central Mediterranean. 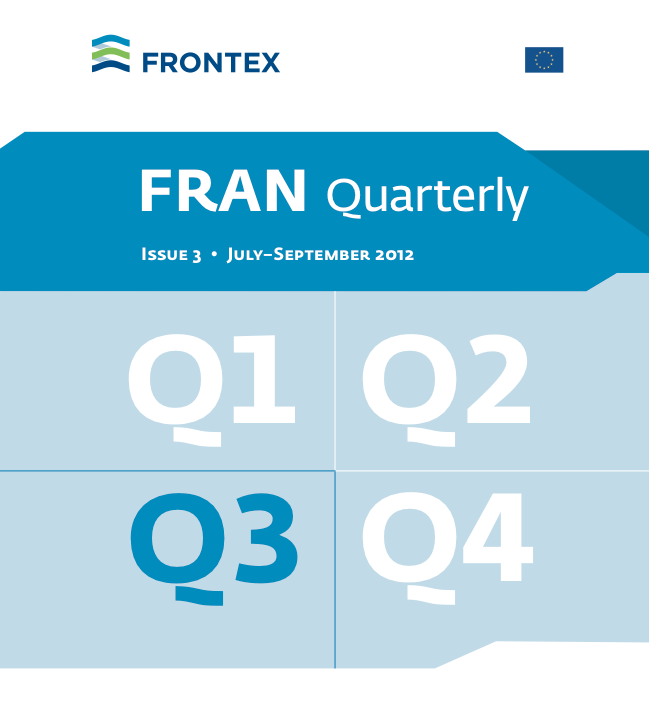 ‘In close cooperation with the Italian authorities, we have decided to run Joint Operation Hermes until the end of August 2011, and to extend the operational area to include Sardinia, where Frontex has already deployed aerial assets to strengthen the patrolling capacity of the Italian authorities,’ said Frontex Executive Director Ilkka Laitinen. ‘Frontex is closely monitoring the developments in North Africa and stands ready to assist the Member States operationally if requested. We are also continuously developing additional operational responses for potential rapid deployment throughout the Mediterranean if needed,’ he added. As of 23 March 2011, Lampedusa remained the main destination for migrants from Tunisia. During the previous week alone, 3,230 undocumented persons arrived on the island, bringing the total number of arrivals detected in the whole operational area since Hermes began on 20 February to 9,098. The majority of migrants are young men but 52 women and more than 240 minors were also detected during Italian-led Hermes. At the time of writing the great majority of migrants who recently arrived in Lampedusa claimed to be of Tunisian nationality. In addition to one aircraft and two vessels already financed and coordinated by Frontex, one Dutch and one Portuguese plane have now arrived in Pantelleria and Sardinia respectively to assist the Italian authorities in strengthening their border control activities. ‘With this equipment and 20 experts currently working in the centres of Bari, Caltanisetta and Crotone, we have satisfied 100 percent the request the Italian authorities made to Frontex,’ Laitinen concluded. 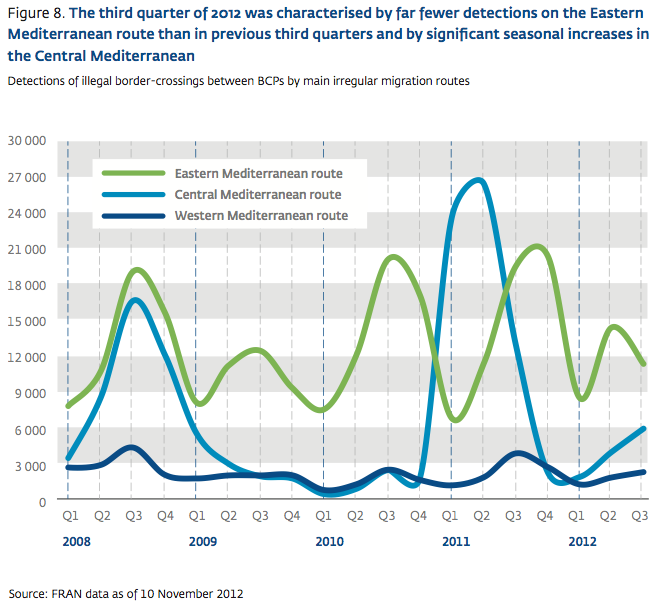 Hundreds of Tunisians have continued to arrive in Italy on Lampedusa, and the islands of Pelagie and Pantelleria. A Tunisian newspaper reported that 12 boats have left Tunisia in recent days. 400 migrants have arrived in Lampedusa and other Italian islands over the past two days. EveryOne Group estimates that more than 1200 Tunisians have arrived on Italian territory over the past week. Click here, here, here, and here for articles. (IT).